Many articles magazines mention how “lack of sleep can make you fat” but there is a lack of understanding on the mechanisms behind this statement. 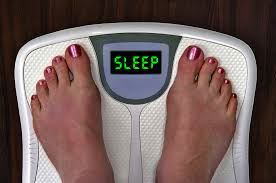 It is to many individual’s understanding that if you sleep less and eat less, it does cause you to reduce weight, which is true, particularly if you are active during those hours you are awake. In terms of sleep deprivation and weight gain, how does this fall h and in hand? Have you ever been up really late and find yourselves fighting against those late night cravings, which you can only resist for so long before you begin eating? This is due to a disruption of hormones which in turn can affect your appetite; hence it is very unlikely that you will eat less when you are sleep deprived. Sleep deprivation reduces leptin which is the anti-starvation hormone (anorexigenic hormone) that is secreted from the brain. The body also causes an increase in ghrelin which increases hunger. Why does this have to happen at night, especially when we aren’t supposed to eat in large amounts at this time? This is because the body has the tendency to self-regulate. For instance, if you are not sleeping, then your body is awake and the body thinks that for this reason there is a greater need for energy, especially if you are fatigued and your body is forcing itself to stay awake. To fulfil the energy demands for the body, reduction and increase in ghrelin hormones are activated to increase appetite.